Micromax, the Indian handset manufacturer, has forayed into the home entertainment segment by launching a range of LED TVs, home theater system and Blu-Ray player. For the same, the country has set up a production unit at Rudrapur, Uttrakhand, that has the production capacity of 2000 LED TV per day. The company has introduced 6 LED TVs ranging from 24 inch to 55 inch. 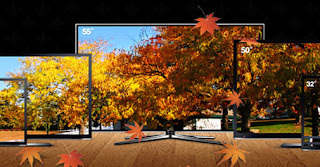 While most of them are Full HD, the 50-inch is 3D while the 55-inch is 3D Smart TV. These LEDs are available at a competitive price starting from Rs 15,990 and going up to Rs 1,29,990. The 3D Blu-Ray player that supports all 2D and 3D video/audio formats is priced at Rs 6,490. Micromax has introduced two models in HTS, starting Rs 5,990. The company has also launched a Smart Stick accessory for its LED range that is an Android powered dongle capable of turning a regular TV into Smart TV. This dongle will be available for Rs 4,990.